Everyone remembers The Chicken Song, right? As a child, I could often be found running round the garden singing this at the top of my voice, over and over and over again, until the neighbours put in a formal complaint to my parents. I was actually banned from singing it ever again, and it’s only now, freed from the tyranny of that evil regime, that I can open my lungs and dance like a chicken till my heart’s content. 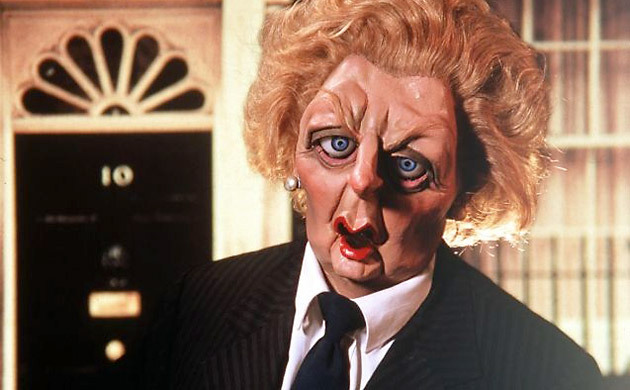 A summer No.1 in 1986, the novelty hit was many 80s kids’ first introduction to Spitting Image, the late night sketch show that ran for an amazing 12 years (1984-1996) on ITV. 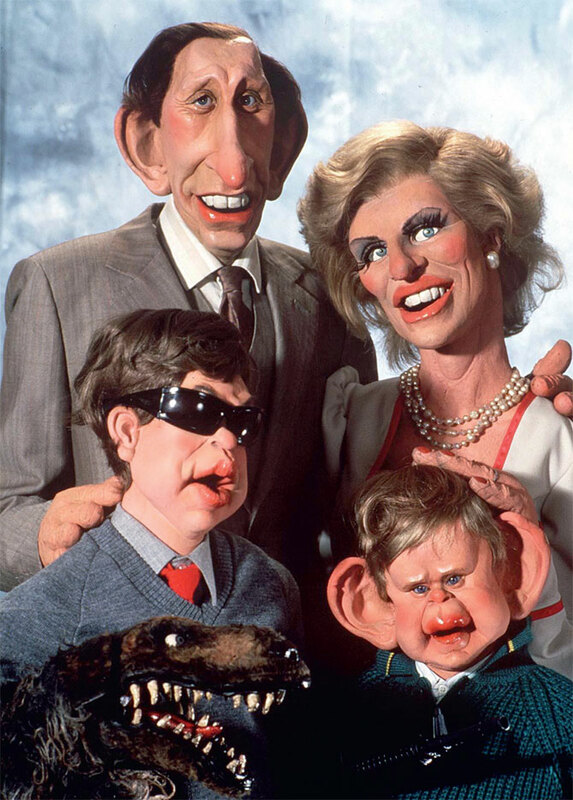 Spitting Image was essentially an impressions show using latex puppets that were grotesque caricatures of politicians and celebrities of the Eighties. Imagine a newspaper political cartoon brought to life before your eyes, and you’re pretty much there. Anything could happen (as long as you could film it from the waist up) and anyone in the public eye was a target. Then British Prime Minister Margaret Thatcher was a despot with a cabinet of vegetables, while her successor John Major was depicted as a completely grey dullard who ate peas in bed with wife Norma. Then US President Ronald Regan was an idiotic gun-totting cowboy and Princess Diana was a publicity-hungry Sloane Ranger. I remember staying up to watch the show, amused by the funny rubber faces but then totally confused by the adult humour and political satire. I had no idea why Ken Livingstone was obsessed with reptiles or why the Pope spoke with a Texan accent. Looking back at old clips today, I’m left with the same feeling. Hidden behind puppets, the writers were able to push the boundaries of a normal sketch show – Thatcher was seen sympathising with Hitler, Ian Botham was a drug addict and Edwina Currie was a vampire – giving the show licence to really stick it to their victims. Perhaps it’s no coincidence that the show’s demise in 1996 was followed just a year later by the Labour party’s landslide victory. With a popular government, British politics lost its edge, and after the death of Princess Diana, the nation seemed to lose its appetite for puppet-based satire.